“Cent’anni.” Frank Sinatra’s favorite toast. “May you live 100 years.” Sinatra, born Dec. 12, 1915, only made it to 82. But, in this, the year of his centenary, his music remains as vital and influential as ever. As early as the 1940s, major jazz artists began recognizing him as a touchstone and teacher. According to author and critic Nat Hentoff, Lester Young “never played a ballad without first learning the lyrics. I asked him his source for the lyrics. 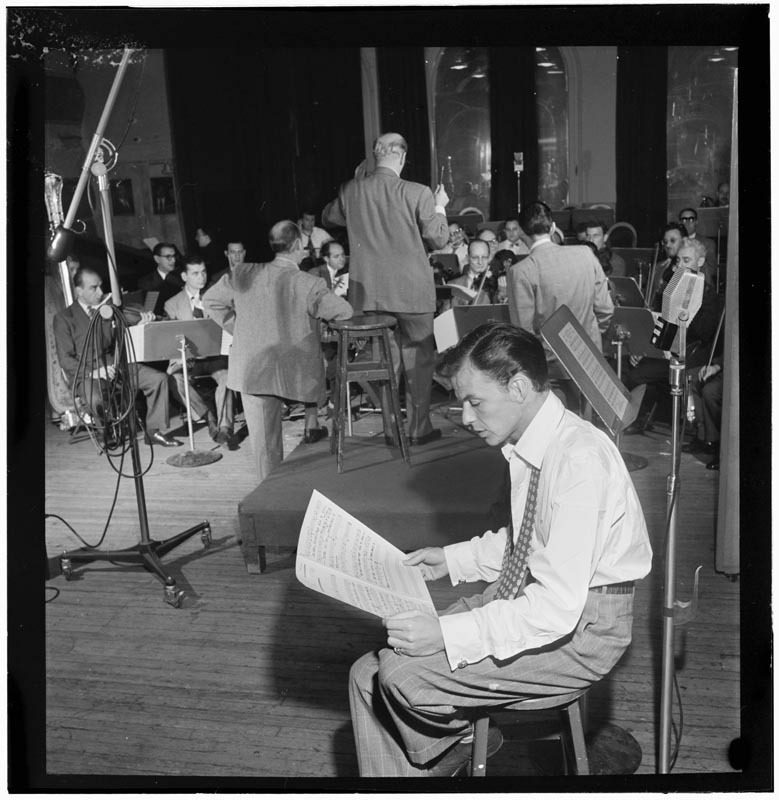 Pointing to a stack of recordings near his chair, he said, ‘Frank Sinatra. '” Miles Davis, adds Hentoff, “told me the same thing. He learned to get inside the ballads from Frank Sinatra.” In a 1956 survey conducted by Leonard Feather for that year’s edition of the Encyclopedia Yearbook of Jazz, nearly half of the 120 musicians polled named Sinatra as their all-time favorite vocalist-players including Duke Ellington, Stan Getz, Oscar Peterson, Bud Powell, Gerry Mulligan, Horace Silver, Cal Tjader and, again, Young and Davis. 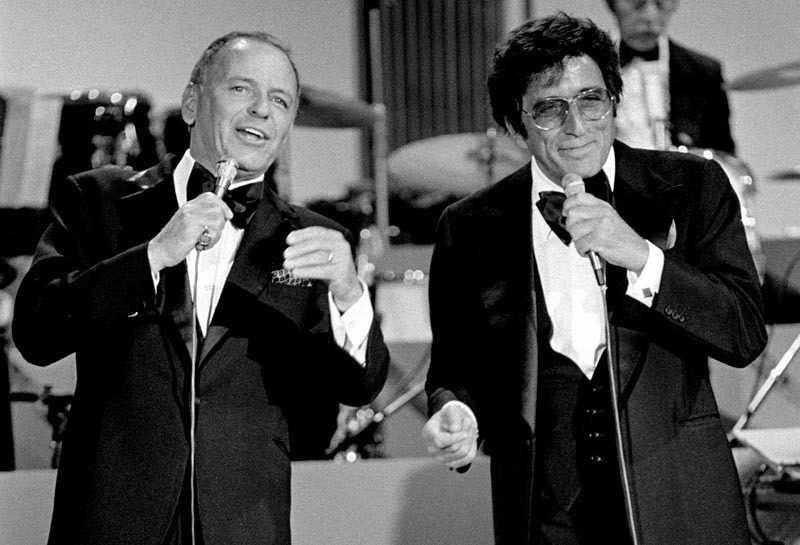 Further afield, Sinatra has been cited as an important influence by such disparate artists as Bono, who devoted a New York Times op-ed piece to the topic in 2009, Bob Dylan and Bruce Springsteen, both of whom performed on the televised celebration Sinatra: 80 Years My Way in 1995. (Dylan’s new Columbia album, Shadows in the Night, is composed entirely of standards previously recorded by Sinatra.) “Hail, brother, you sang out our soul,” said Springsteen, dedicating his rendition of “Angel Eyes” to Ol’ Blue Eyes. 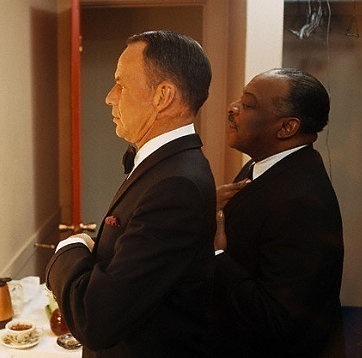 And, of course, a direct line can be drawn from Sinatra to Bobby Darin, who modeled his brassy persona on his hero. More recently, Harry Connick Jr., Michael Bublé, Jamie Cullum and Tony DeSare can be classified as Sinatra acolytes, particularly in the early phases of their careers. And strong echoes of Sinatra are evident in the ice-coolness of Sachal Vasandani and the intensely personal balladry of Andy Bey. Why does Sinatra’s sound endure? It’s complicated, primarily because of the near-impossibility of separating the music from his larger-than-life mystique: the booze-fueled bacchanals; the jet-setting antics; the sophomorically charming Rat Pack camaraderie; the murky trails of mob-connected danger. From career onset he remained a remarkable mélange of paradoxes: a loner who couldn’t stand being alone; a womanizer who revered women; a quick-fisted bully whose munificence, usually unheralded, was immense; an egomaniac capable of tremendous selflessness. Most critical, and compelling, are the antimonies within the music itself. First, that the dreamy-eyed, almost fragile Sinatra of the 1940s is an entirely different singer, both tonally and stylistically, than the red-blooded, cocksure one who emerged in the 1950s. Second, and more important, is the sharply dichotomous nature of his material from the 1950s onward, with his unique mastery of emotional extremes. In one of his most famous quotes, Sinatra described himself as an “18-carat manic-depressive. And having lived a life of violent emotional contradictions, I have an over-acute capacity for sadness as well as elation.” Place “I’m a Fool to Want You” aside “Come Fly With Me” and his skill at navigating both poles is immediately obvious. To read the rest of this story, purchase the issue in print or via the iTunes newsstand. Print and digital subscriptions are also available.